The accused are alleged to have celebrated Pakistan’s victory by bursting crackers in different places in the village and raised slogans in support of the neighbouring country. Fifteen men who allegedly raised pro-Pakistan slogans and burst crackers in Mohad village of Madhya Pradesh’s Burhapur district after India’s defeat in the ICC Champions Trophy final on Sunday night have been charged with sedition. 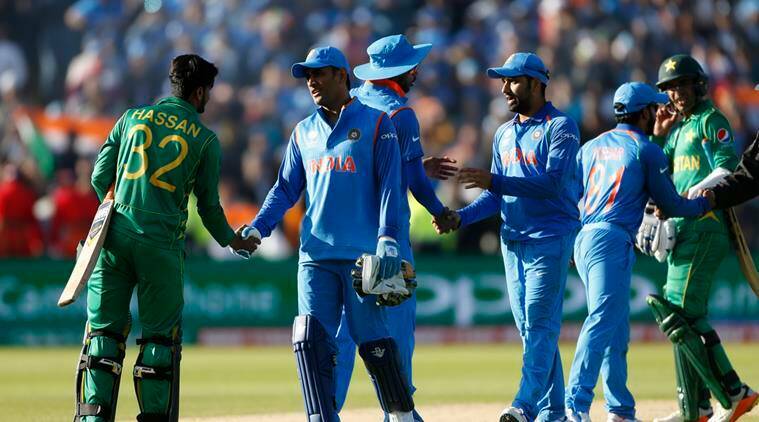 In Karnataka, too, six people were arrested, allegedly for celebrating Pakistan’s victory. Two of them were charged with sedition, while four others were accused of hurting religious sentiments. 15-day judicial custody by a court in Burhanpur. Security was increased at the court’s premises as several right-wing activists gathered there. A case under IPC Sections 120B (criminal conspiracy) and 124A (sedition) was registered against the accused, aged between 20 and 30, at Shahpur police station. Shahpur town inspector Sanjay Pathak told The Indian Express that more people could be arrested as the investigation progresses. Investigating officer Ramashray Yadav said the complaint was lodged by one Subhash Laxman Koli, a village resident. He said there was no video evidence against the accused because the alleged celebrations took place in the dark. Both Pathak and Yadav, however, claimed the accused had admitted to raising pro-Pakistan slogans and called it a mistake. Ranjeetbhai, a former Janpad Panchayat member, claimed that only a handful of youngsters, who were drunk, had burst crackers, but did not indulge in sloganeering. He said that labourers, students and farmers were among those arrested. Former Nationalist Congress Party MLA from Burhanpur, Hamid Qazi, claimed many Muslim men had left the village after police started frequenting it since Monday evening. The town inspector said he had written letters to the district collector and the superintendent of police to stop subsidies extended to the accused. He said there was a gazette notification to this effect but he did not have a copy of it. In another incident, three men were arrested from Khamaria village in Ujjain district for allegedly raising “pro-Islam slogans” while celebrating Pakistan’s victory over India. The three youngsters were booked under Section 153 A (b) of the IPC (acts likely to promote communal disharmony and disturb public peace) after they burst crackers and allegedly raised slogans glorifying Islam and denigrating Hinduism, Khachrod town inspector Dinesh Varma told The Indian Express. Police said the accused raised only religious slogans, not pro-Pakistan slogans that would have attracted the sedition charge. The three were sent to judicial custody on Tuesday.